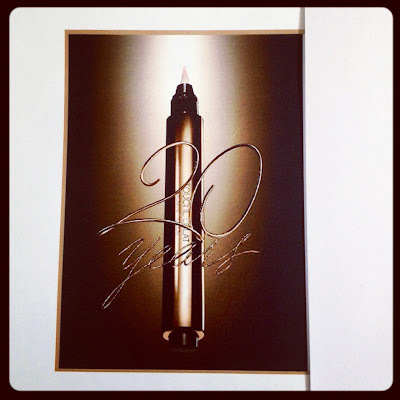 I spy with my little eye... an Yves Saint Laurent Treat. 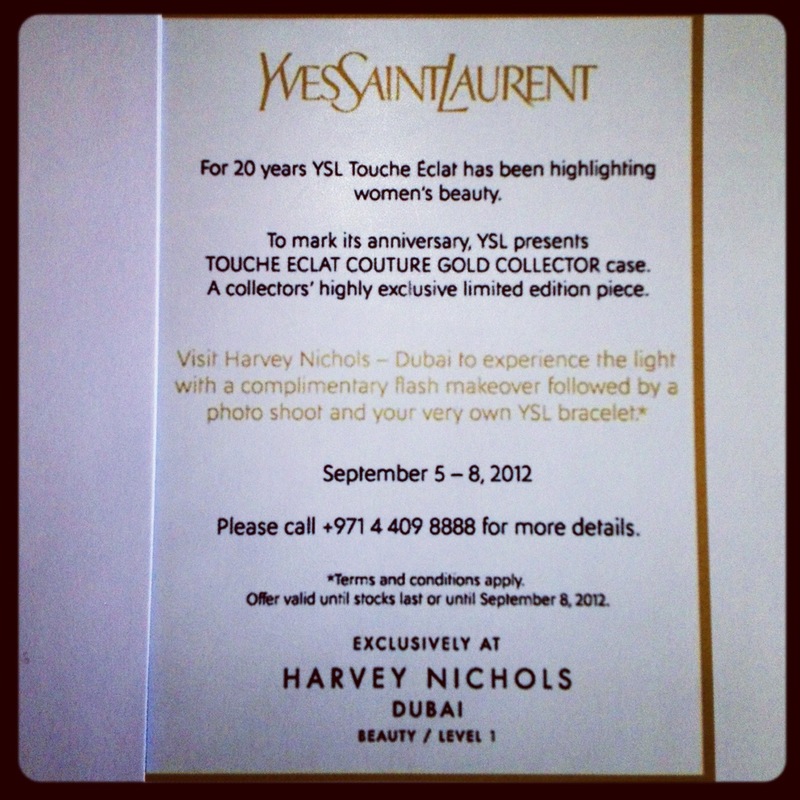 Ladies, the famous Touche Eclat is 20 years old (they grow up so fast...). This little French miracle is so versatile I use it for everything: dark circles, primer, spots... It fits in every purse and simply works. 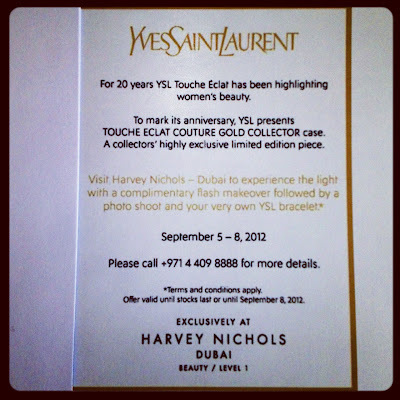 To celebrate that anniversary, YSL and Harvey Nichols offer Dubai Ladies a complementary Flash Makeover, and, depending on the stocks, a YSL Bracelet, followed by a photo shoot, the offer works from the 5th until the 8th September.